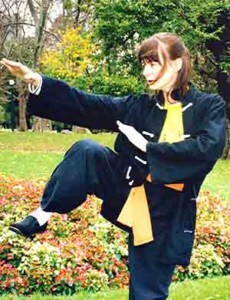 Wing Chun in Kung Fu Melbourne is an accredited training institute and is a branch of the Shaolin Jee Shin Association. 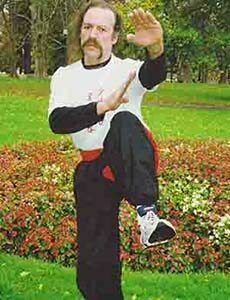 Classes in Wing Chun Greensborough, is located in the northern suburb of Melbourne. Bendigo Wing Chun Kung Fu is located in the regional City of Bendigo, a major urban City in regional Victoria Australia. Sifu Garry and Sifu Linda have been involved in wing chun kung fu for 31 and 26 years respectively. Their martial arts expertise stems from many years of studying wing chun kung fu and qi-gong in China and Australia. Greensborough Wing Chun Kung Fu in Melbourne teaches traditional wing chun kung fu from the Leung Bik/Yip Man system. Wing Chun Kung Fu is a martial arts self defense system immortalized by the legendary Bruce Lee. The popularity of wing chun kung fu is highlighted in today's wing chun films with the Yip Man wing chun movie series. Sifu Garry and Sifu Linda are 4th generation lineage holders from the legendary Dr. Leung Jan, who taught wing chun kung fu in Foshan. He also taught a synthesised version of wing chun in GuLao village in southern China, between 1850 and 1900. Garry and Linda are also grand students of the legendary Grand Master Yip Man..
Wing Chun is a practical close range self defense/fighting style suitable for males and females of all ages. The science of wing chun kung fu and its approach to bio-mechanics, makes it a very practical and effective self defense system. Martial Arts Sports Coach / Instructor. Wing Chun Kung Fu Greensborough. If interested in trying a Wing Chun Class, the first 2 Wing Chun Classes are Free! For Training Times in Wing Chun. Please register for your first free trial class. Ring +61 401 530 643 for information or click link for Wing Chun Class Locations. Train and study Traditional Wing Chun Kung Fu in a Friendly, Helpful and Safe Environment.